A witty title that involves clouds | If not now, then when? I like hardware ‘throwbacks’, ‘retro’ computing. Look at those curves, that beige! A pure powerhouse… ok perhaps not but still it occupies a special place in my heart, sadly it was replaced by a PC from the now long defunct Tiny Computers. That Wikipedia entry is three lines too long in my opinion, but I am glad to see them get the recognition they deserve. Anyhow that PC was a typical beige box and although it got me into PC gaming, upgrading and the internet; it occupies no special place in my mind. Which has gotten me to thinking about the world (see how that naturally slips into the conversation, takes skill that), old computers are big business. I mean of course recycling, lots of copper and precious metals contained in processors and motherboards. They are also a humanitarian and environmental crisis that’s happening right now, their are countless reports on the squalid conditions of those in the 3rd world who seek to reclaim our digital legacy. We need to truly think through the implications to our environment of the next must have upgrade. The time has long departed where we can throw away our old IT and forget about it, I think we should stop throwing it away at all. You may wonder why I put the operating system in that list, it consumes resources and its critical to the usage of the device. It’s also a large reason why someone might choose to upgrade their computer (add more ram, a larger hard drive) or invest in a new one (Apple’s move from PowerPC to Intel forced a migration). What if we removed that need? Cloud computing is well established in the Enterprise market but hasn’t made all that much of a visible dent on the consumer (I say visible because although someone might use a cloud based service they are probably unaware of that fact). I’ve spoken that phrase many times, as I am sure you (or someone close to you) have. This is where I think Cloud computing can really make a difference, you can have all the latest software available to you instantly with little to no lag and yet still be running an old device. Why? Because the device used to interact is irrelevant, all it needs is a connection to the cloud. 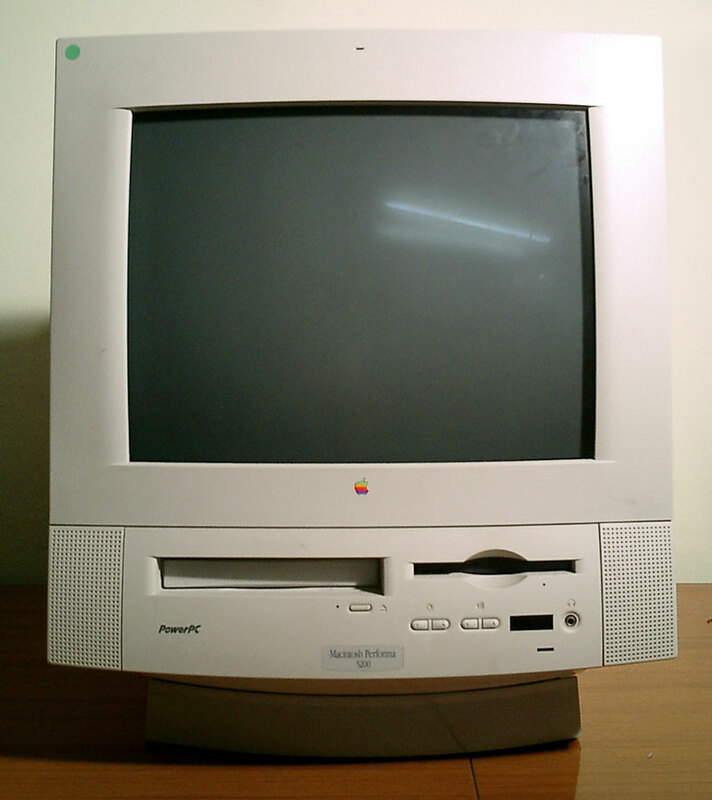 Which brings me back to the Performa, it is possible for that machine to run the latest software even though its prehistorically old. By offloading the OS to the cloud we no longer need to be slaves to the 3-5 year upgrade cycle and we no longer have to throw old hardware away. In short old hardware is cool, we shouldn’t discard it so easily. Good point though 🙂 maybe I’ll dust off my old Gateway 2000 P133 laptop (with a whopping 64mb of ram and a mind-blowing 800×600 screen resolution – 120pixels taller than my phone resolution…) and see how a recent build of Chrome runs on it! If you remove the os and then install a rdp client it should be fine.